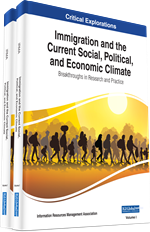 In this chapter, concept of refugees, legal status of refugees, educational rights of refugees, concept of multicultural education are discussed. This section on refugees and immigrants in Turkey, multiculturalism, multicultural education concept aims to investigate basic human right of the refugees, immigrants and asylum seekers, right of education. Principles and recommendations should be produced on structuring and management of multicultural educational environments that would support right and struggle of existence of refugees, who would affect the future social, cultural, economic and political structure of Turkey, in this structure. As a result, in Turkish context, a “Commission for Educational Programs and Strategies for Refugee and Immigrants” that would include multidisciplinary experts and implementers and would be activated within National Education Ministry and organized also in periphery could produce and implement action plans and projects to provide educational rights of immigrants, refugees and asylum seekers in rational, academic, legal, political and humane manner.